Gallery Bishops Waltham Training School (Claylands). Extraction from a Ford Popular. 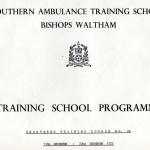 Last six week course at Bishops Waltham. 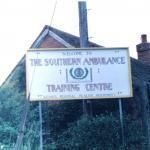 Southern Ambulance Training School Emblems. Sign at Front Entrance to Claylands. 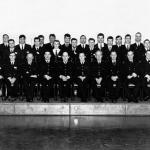 MOH Training Course No 1 Autumn 1967.